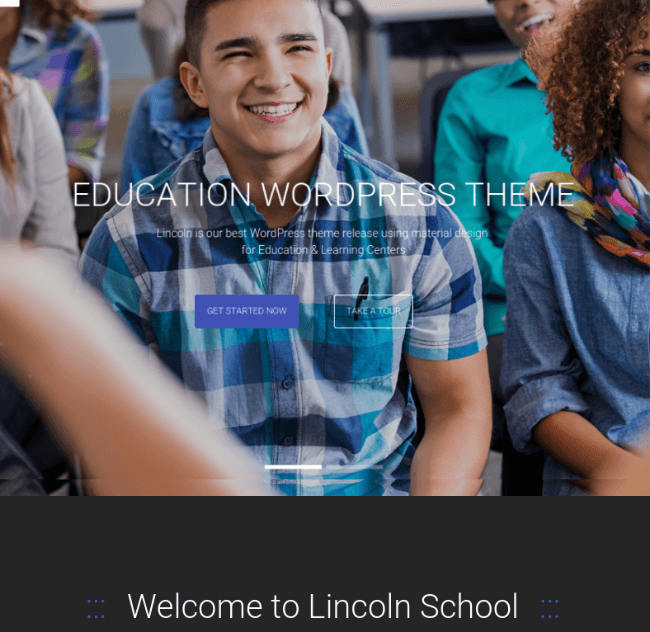 Academy- WordPress Learning Theme. This theme is really good for who are like to teach and share something knowledge online. In this theme you have multiple option for showing your content and post in different layout and with image alignment on the Webpage. It has a two slider parallax slider and a boxed slider to showcase your business images by interactive user interface. 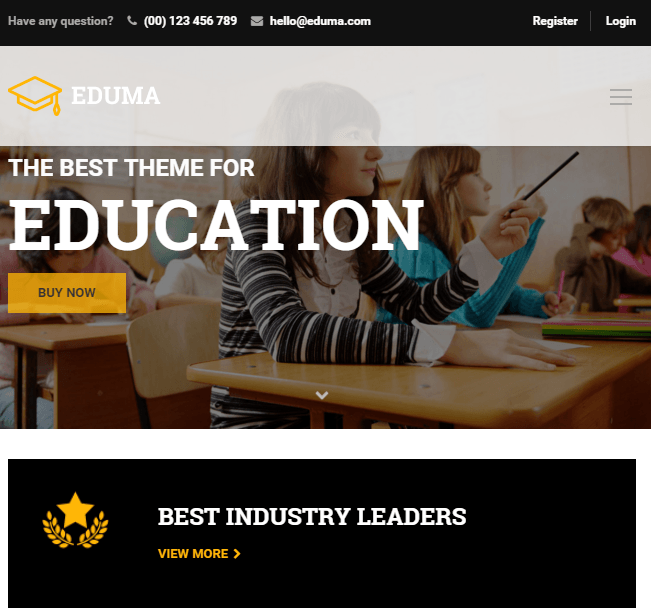 This theme provides awesome features for creating online courses, online question system, file attachments, embedding self hosted media, track course progress and in-built WooCommmerce integration for online shopping of E-Book and study materials with products review and ratings. 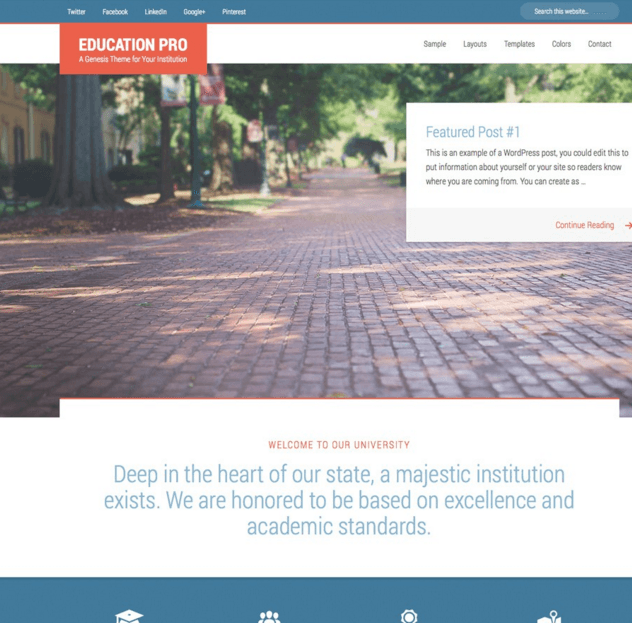 This theme has an extended features like registration of the user by using the login information of the user can set his profile photos, and track their personal progress personally on this portal and subscribe any course newsletter. 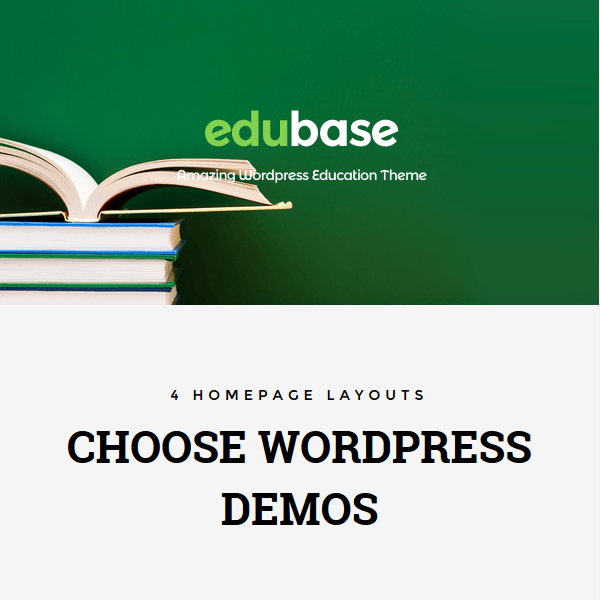 This theme has a powerful setting option panel to set anything like images, logo, change colors of the user interface, slider images and setting of the slider and you can customize courses, header, users, blog, contact form. In this theme, each page has a multiple section for set information about the section like courses page have sections like Course Subscriptions, Course Certificates, Course Ratings, Course Price, Students List, Student Progress, Related Courses, Courses Statistics.